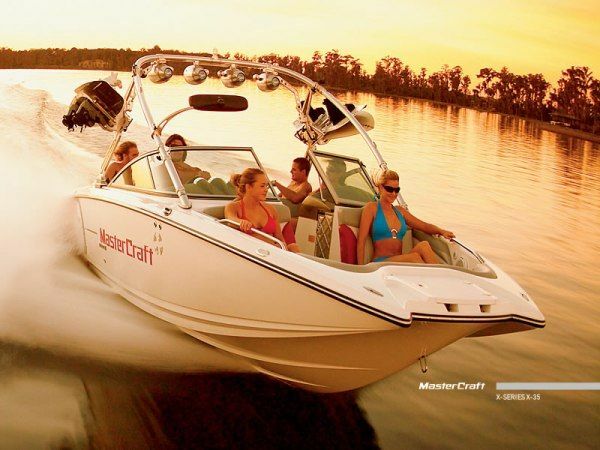 Visitors guide to Cherry Lake boat and jet ski rental company and water sport services which include; ski boats, waverunners, water sport lessons, tours, and captain services. This lake is an artificial lake in the Stanislaus National Forest of Tuolumne County, California about 25 miles east of the city of Sonora. The elevation is 4,700 feet on the western side of the Sierra Nevada, and lies just outside the western boundary of Yosemite National Park. The East Fork's and North fork cherry creek is what supplied the lake with water source. The East and North forks meet several miles downstream of the lake. You can enjoy the campground which offers numerous sites available on a first come, first served basis. All our rental and charter fleet must be reserved in advanced at least 24 hours. The fees for camping are minimal and based on the size of your desired site. They have picnic tables and fire rings, many with grates for cooking. Some sites offer beautiful lake & vista views. The roads through the campground are paved and great for all ages to enjoy their time riding bicycles. There are bathroom facilities but no showers, and running water is located every few campsites. Come and enjoy the outdoors at Cherry Lake in California.